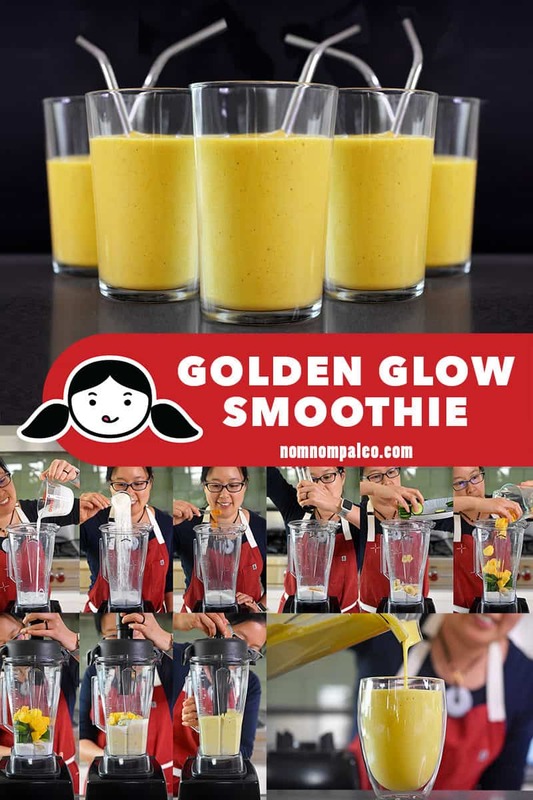 This Golden Glow Smoothie is a refreshing and creamy drink that packs in fresh fruit, veggies, coconut milk, collagen, and turmeric. I’m not a regular imbiber of morning smoothies ’cause I’d rather eat something savory for breakfast, but sometimes an icy drink hits the spot after a workout or when it’s super hot. 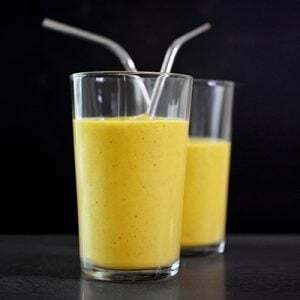 When the mood strikes, it’s easy for me to make this tropical smoothie because I almost always have the ingredients in my kitchen. 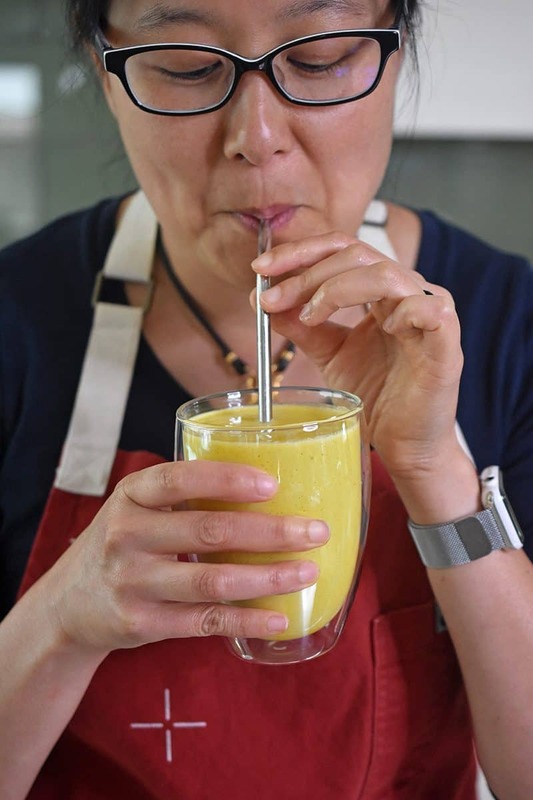 Plus, drinking my Gold Glow Smoothie takes me back to Maui where I first tried something similar at one of my favorite health food spots—and that’s always a good thing. 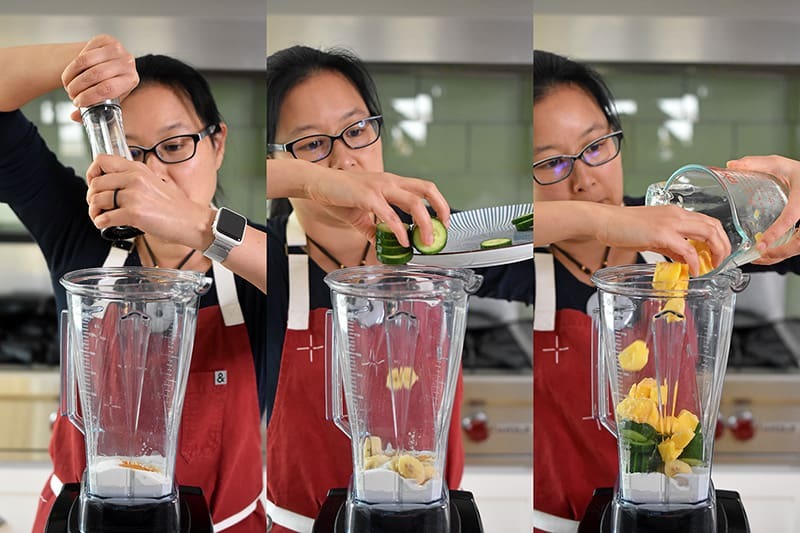 …freshly ground pepper, banana, cucumber, and mango. If you want to add extra sweetener, you can do it now. …or drink it all yourself! 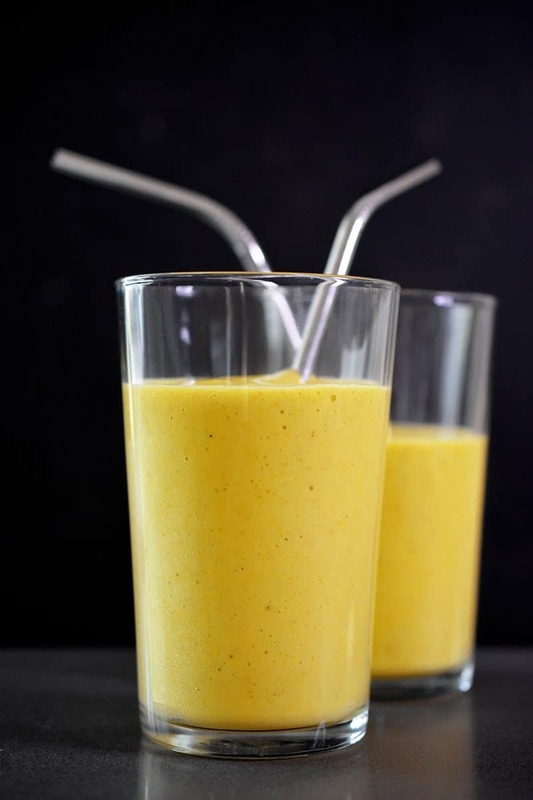 Looking for a refreshing and creamy smoothie that packs in fresh fruit, veggies, collagen, and turmeric? 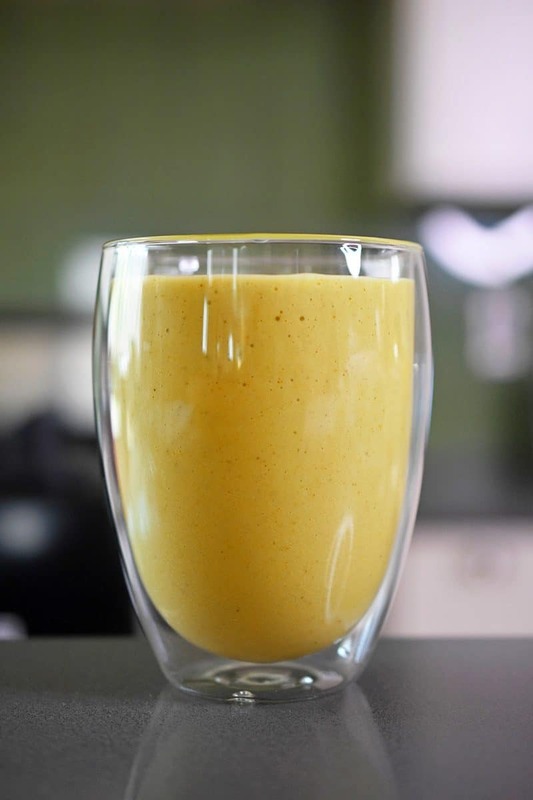 Blend up my Golden Glow Smoothie! 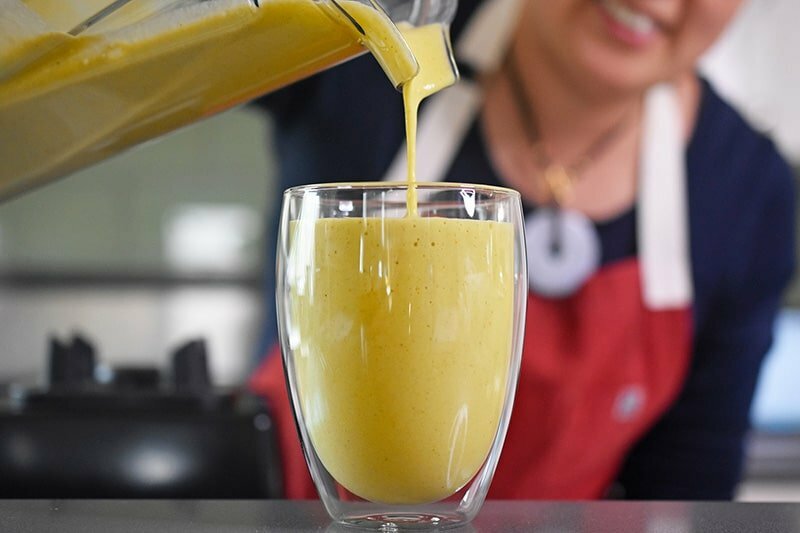 Grab your blender and pour in the coconut milk, collagen peptides, turmeric, freshly ground pepper, banana, cucumber, and mango. 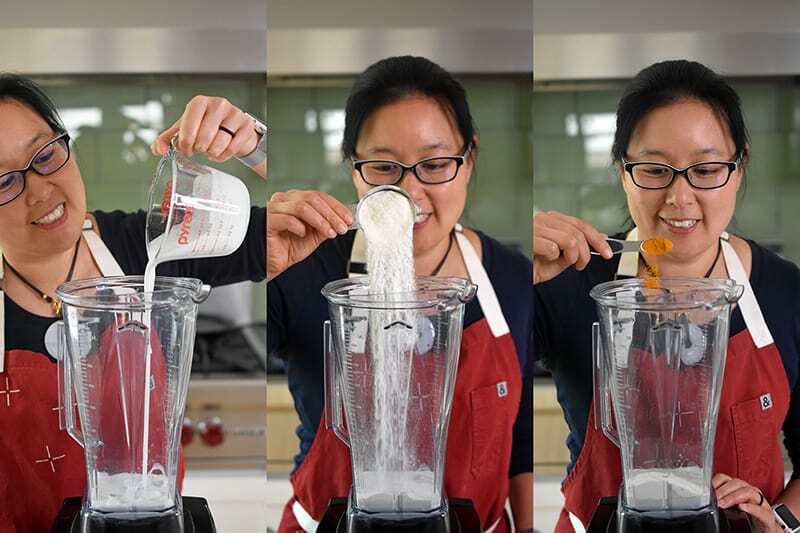 If you want to add extra sweetener, you can do it now. Divide into two cups or drink it all up yourself! 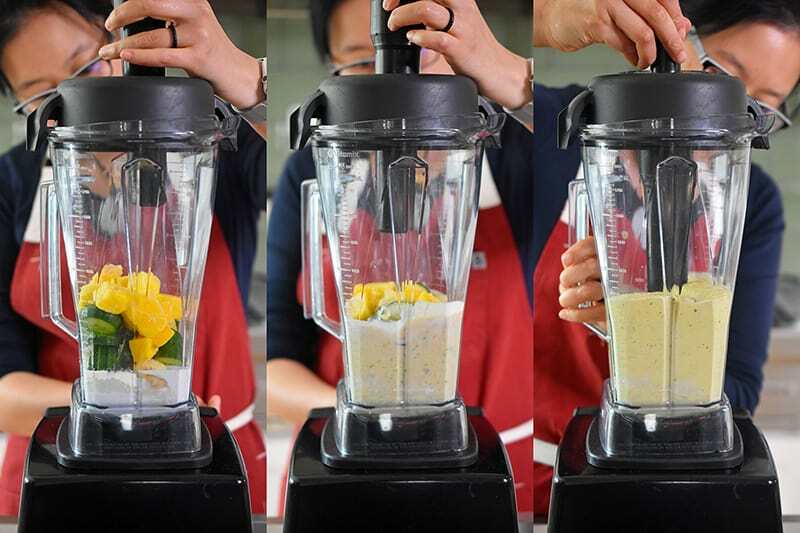 If you don't have a high powered blender, you may need to add a little more coconut milk to blend it smooth. I don't add any extra sweetener because I like it as is, but feel free to add some to taste if needed.